I’ve just finished reading Shore Excursion by Marie Moore and its humour and drama are still fresh in my mind. I put it at the top of my reading pile because I was asked to review it but it wasn’t hard to keep reading once I started as it’s a very entertaining book. 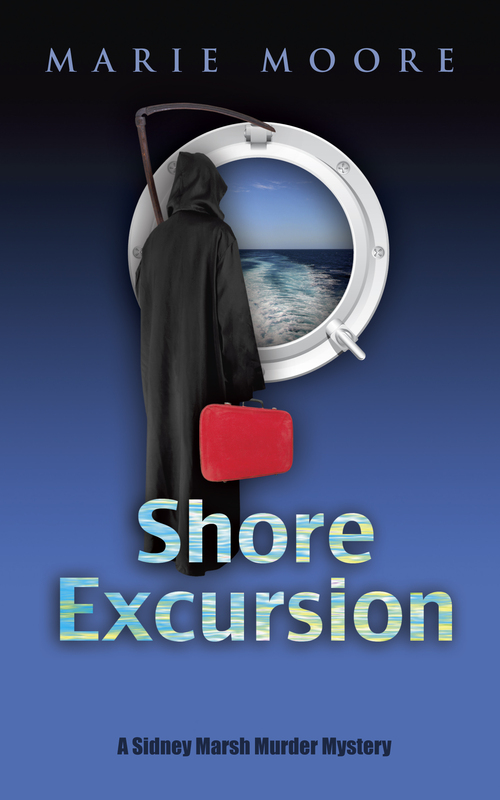 Shore Excursion is the first book in a new mystery series featuring amateur sleuth Sidney Marsh. The story follows Sidney, a Mississippi girl living in New York, who is the tour leader on a cruise through Scandinavia and Russia for a group of eccentric senior citizens, the High Steppers. This luxurious cruise is anything but routine. A killer is on board, targeting the High Steppers and quite possibly Sidney too. When the crew refuse to treat suspicious deaths among the tour group as murder, Sidney decides to take matters into her own hands and launch her own investigation. She enlists the half-hearted help of her friend and business partner, the flamboyant and fun-loving Jay Wilson. Suspects abound. Are the captain and crew trustworthy? Is another passenger targeting the group? Even the High Steppers themselves are not as predictable or harmless as they seem. The reader is kept guessing about the answers to these questions until the final pages of the story. Although crime novels aren’t my usual reading choice, I often get asked to review them so I have a few under my belt now and have an idea of what to expect. This book was true to the genre. It moves at a quick pace and introduces many characters in passing. But, unlike some crime novels, there is one main protagonist, Sidney, and readers view events only through her eyes. I liked Sidney and especially enjoyed her funny and accurate observations about people and situations as the story unfolded. There were a few instances, at the beginning and end of the book, when Sidney spoke directly to the reader. I found this uncomfortable and felt that it jarred me out of the story. With a large supporting cast, the only characters that I got to know were Sidney and Jay. Sidney’s tendency to blunder into dangerous situations made me wonder why she was so foolish but the author convincingly revealed her impulsiveness and made her choices credible. Her friendship and rapport with Jay was believable and helped to lift the characters off the page. Because there were so many minor characters to introduce the author wrote a scene where Sidney made a list of the tour group members and considered whether one of them might be the murderer. I thought this device was a bit contrived. I would have preferred the author to provide a few details about each minor character when they appeared in the story. Set primarily on a cruise ship sailing from Scandinavia to Russia, the novel had lots of scope to jump from one locale to another. The place descriptions gave enough detail to set the scene but did not hinder the story. They added exciting backdrops but stayed in the background. I’ve never been on a cruise ship so I gleaned an insight into this alien world and I enjoyed reading about the glamorous life the passengers experienced and the trials and tribulations of the cruise staff coping with them. There was occasionally too much detail about the workings of a cruise but this only distracted me momentarily. I found the plot plausible and easy to follow. The action moved along at a pace that kept me reading but I didn’t solve the murders before the end. The only criticism I have of the plot is that the timeline seemed out of sync in one scene. While the ship was in Copenhagen Sidney went to a rendezvous arranged for around midnight in Tivoli Gardens but a few pages earlier it stated that the ship was due to leave port around midnight. Wondering about this discrepancy distracted me briefly. Shore Excursion is a crime novel that focusses on people and relationships rather than violence and gore. There’s suspense, humour, romance and action. It entertained me and made me laugh while I also pondered ‘who dunnit’. I think this novel will especially appeal to women as it’s a good story about a strong female character with some crime and mystery thrown in. For more information about Shore Excursion visit the author’s website. The book is also available to order on Amazon. About the author: Marie Moore taught junior high science, raised a family, and worked for a small weekly newspaper, first as a writer and later as Managing Editor. She wrote hard news, features and a weekly column, sold ads, did interviews, took photos, and won a couple of MS Press Association awards for some of her stories. Shore Excursion is her first novel. 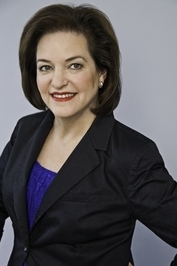 In 1985, Marie left the newspaper to open a retail travel agency. For the next 15 years, she managed her agency, sold travel, escorted group tours, sailed on 19 cruises, and visited over 60 countries. Much of the background of Shore Excursion comes from that experience. She and her husband now live in Memphis, TN and Holly Springs, MS. 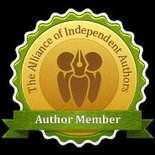 This entry was posted in March 2012, Uncategorized and tagged author blog tours, crime novels, cruise stories, Marie Moore, Shore Excursion, Sidney Marsh, Tribute Books. Bookmark the permalink. Thanks Dianne for the in-depth review. You’re right – cruise ships do have sort of an “Upstairs, Downstairs” mentality to them with the luxurious accommodations for the passengers vs. the cramped quarters for the staff. It really does make for good drama. Dianne, I really appreciate your terrific, thoughtful review. I’m so pleased that you enjoyed this book and hope you will follow Sidney on all her adventures! Thank you so much.